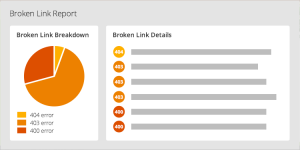 With LinkTiger’s dashboard you can quickly get an overview of the link integrity of your website. Drill down on any of the charts to view detailed reports where individual links as well as their status are listed. Adding new domains to your dashboard is easy with LinkTiger’s helpful wizard. 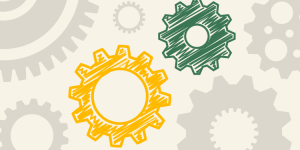 LinkTiger does more than just provide you with a report of links with issues. 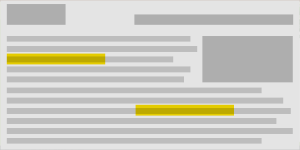 Clicking a report entry will load both a view of the source code as well as the rendered web page. The broken link is clearly highlighted in both views so that you can easily spot it and fix it. See detailed reports of links that are broken – not only within your site’s HTML pages but also PDF files, flash-animations, CSS, XML, image files, databases and MS-Office documents. 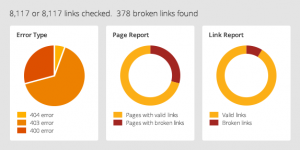 LinkTiger even scans secure areas of your site (intranet and client login pages) for broken links. All reports can be printed, exported or emailed. 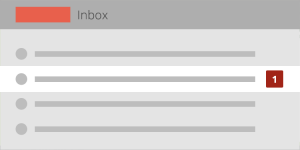 With LinkTiger’s email notification option, you will be informed in real-time when there are issues with links on your site(s). The email will tell you how many links have been scanned and how many issues have been found. Enhance the functionality of your content or website management system by adding LinkTiger’s powerful broken link scanning capability. We’ve made it easy with an API that provides full access. Just sign up for an account and you can download our API documentation from the Support Portal.